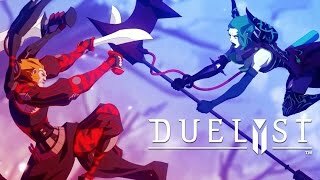 //Counterplay Games approached our team at Powerhouse Animation to create a cinematic trailer for their turn-based strategy game, Duelyst. Our team worked intensively with the original concept work in order to create a fantastically detailed cinema of two faction generals facing off in the arena. 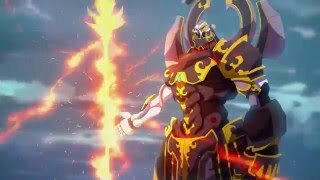 Check out the website, where you can play Duelyst for free and experience the game yourself. For beautifully rendered 2D game cinemas, you come to Powerhouse Animation. Our team carefully adapted the original intricate Duelyst concept art for our cinema, making sure to capture every detail in the characters’ clothing and armor. After blocking out the fight sequence in thumbnails, our team spared no effort animating the epic fight and impressive effects. In contrast to the pixel art style sprites of the original game, our cinema highlights the complex designs of the concept art, a tasteful pairing that shows off the diverse range of styles that bring Duelyst to life.